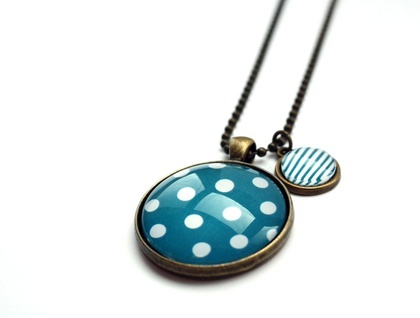 This classic necklace has a real vintage look. Looks fantastic worn against black or white. 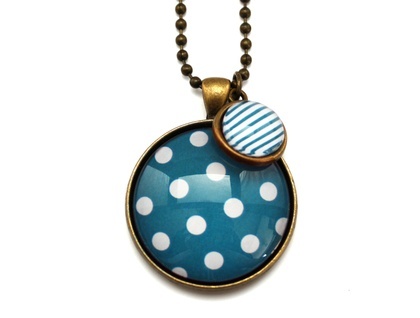 The polka dot design sits under a 3cm glass dome and is set in a solid vintage brass setting which has been complemented with a mini striped pendant alongside. 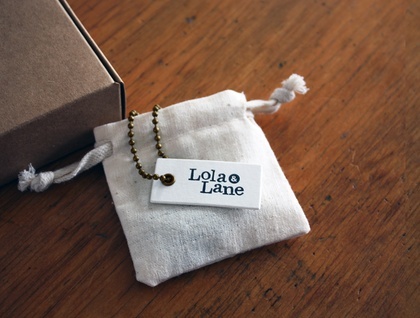 Includes a 75cm vintage brass ball chain which sits just below the bust line and can easily be shortened.